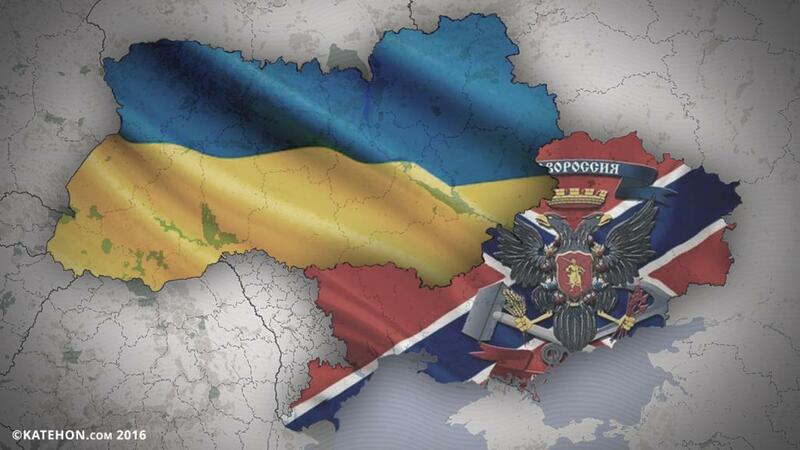 There are several lies circulating on the internet regarding the former Ukraine, Novorossiya, and Russia. These lies are spread by the Kiev Nazi junta’s trolls and their American masters with the obvious goal of disinformation. But only fools believe this disinformation and only liars and traitors try to promote it further. Next lie: "Russia does not need Novorossiya" - Those who make this statement have no idea (or pretend not to have) about Russian history or culture. Also, they have no knowledge of geopolitics in general and security politics in particular. Russia needs Novorossiya for many reasons: first, and most important, because it is a genuine part of Russia and has been so for 300 years. It was stolen from Russia during a period of Russian weakness and when Russia was ruled by American lackeys in the 1990’s. The majority of the people in Novorossiya are Russians or Russian-speaking Ukrainians who are opposed to the Kiev Nazi junta and want to join the Russian World. But Novorossiya is also the shield of Russia against NATO aggression and enemy military bases. The same is true for eastern Malorossiya. All lands east of the Dnepr (and all land on the Black Sea coast) is Russian land paid for by Russian blood many times over through history. It is treason to even think of abandoning these lands to the Nazis and to NATO. Yet another lie to be exposed: "There will be world war if Russia liberates Novorossiya". This statement is absurd because it is contradicted even by statements from Europe and USA. None of them are prepared to go to war to save some Nazis in Kiev, especially as any Russian liberation of Novorossiya and eastern Malorossiya would be just that, a liberation, not an occupation! This liberation will not be extended to Galicia because that part was never genuine Russian land and it is too infected with Nazis now to be worth the cost of de-Nazification. Another lie is: "The Russian World is only Russia". Well, actually, there should be no limits to the Russian World - if a person would like to join the Russian World for whatever reason, they should be welcome. It could be, for instance, that person has a Russian spouse, likes Russian culture, or Russian orthodoxy or lifestyle and so on. Of course, I am not talking about creating "ghettos", like what has happened in Western Europe, but any person joining the Russian World should be willing to assimilate at least to a certain degree into Russian society (learn language, culture, traditions), without having to deny his/her own roots. Russia ought to take in around ½ million such people from all over the world annually, and they should preferably be young and educated or willing to get an education in their new country. There are quite a lot of such people all over the world that would like to move to Russia given the chance. That would give a boost to the Russian economy and society too. Of course, refugees from former Ukraine and Novorossiya should also be taken into Russia, but with the clear understanding that they will return to a liberated Novorossiya and Malorossiya sooner or later! Geographically it is of course easier to define the Russian World as the Russian Federation + Belarus + (northern) Kazakhstan + Novorossiya + (eastern) Malorossiya + Transnistria, Abkhazia, South Ossetia, and some regions of the Baltics, such as Narva for example. Any part of this territory is just as holy and Russian as is Moscow and should be equally defended.